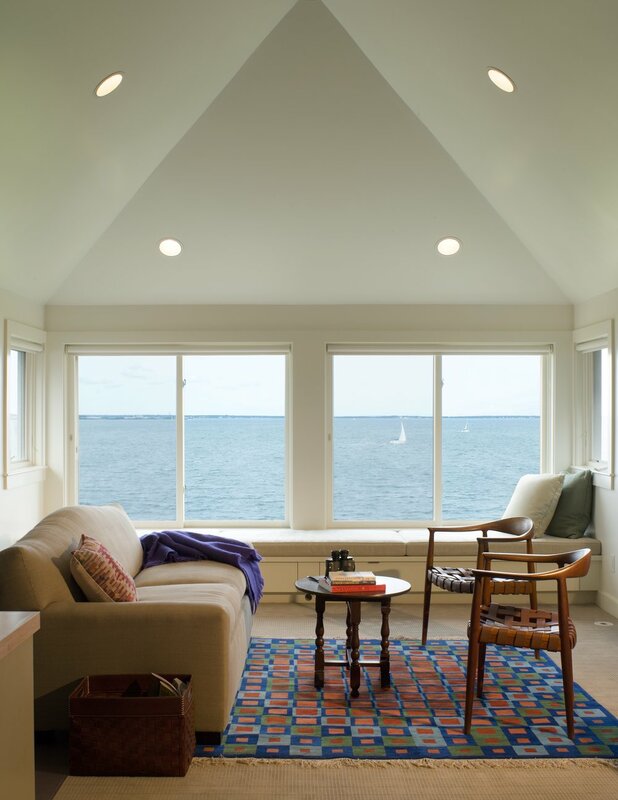 Purchased in move-in condition, our clients realized that their house on Buzzards Bay had much more potential. 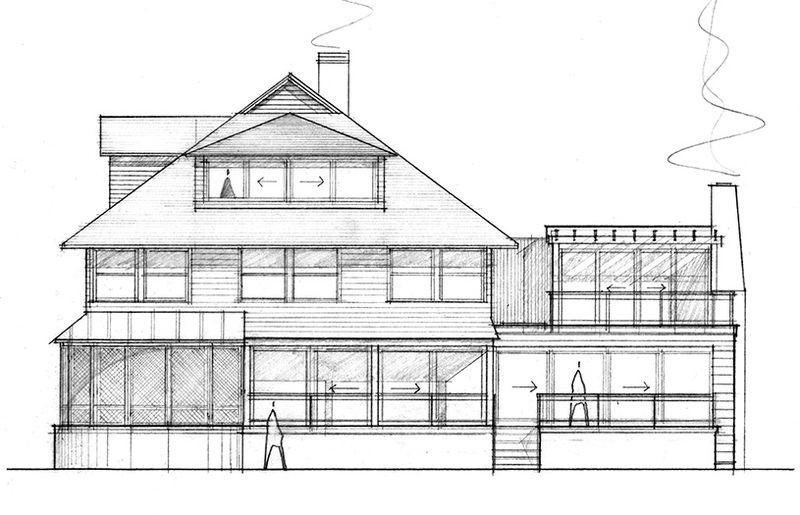 The final design is a contrast of exposed existing framing and open modern spaces. The stair and bookcases connect the open plan first floor to the second floors individual, private rooms. 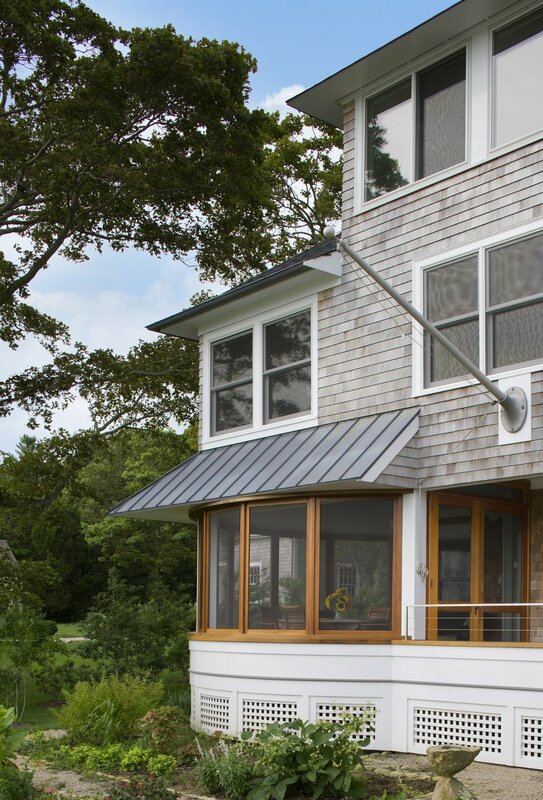 A narrow, glazed walkway brings one to the new guest room. The stair with open risers and mortise and tenon details ends at the third floor office.